Learn how your company can seamlessly extend enterprise security to ensure that only the right people either inside or outside the company can access and share sensitive information. Extend your existing enterprise security to protect any endpoint, data or application anywhere. Add real-time data access control driven by one-time use encryption keys to your data. 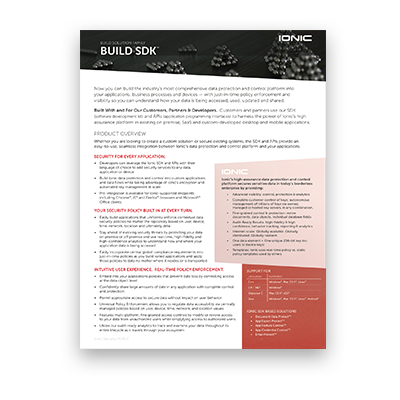 Developers can use Ionic Key Management when they upload or download data on Google Cloud Storage™.